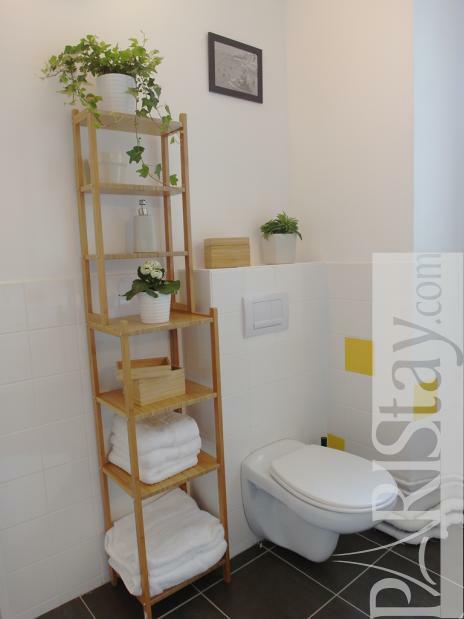 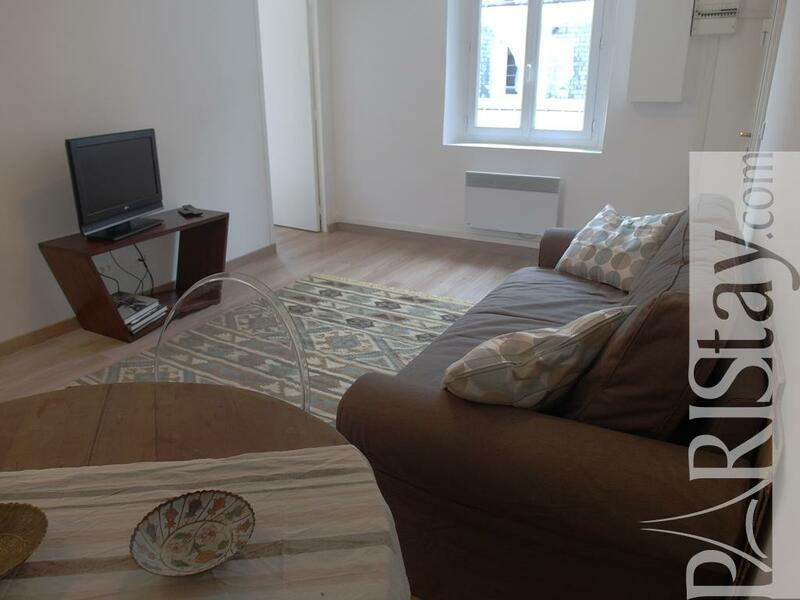 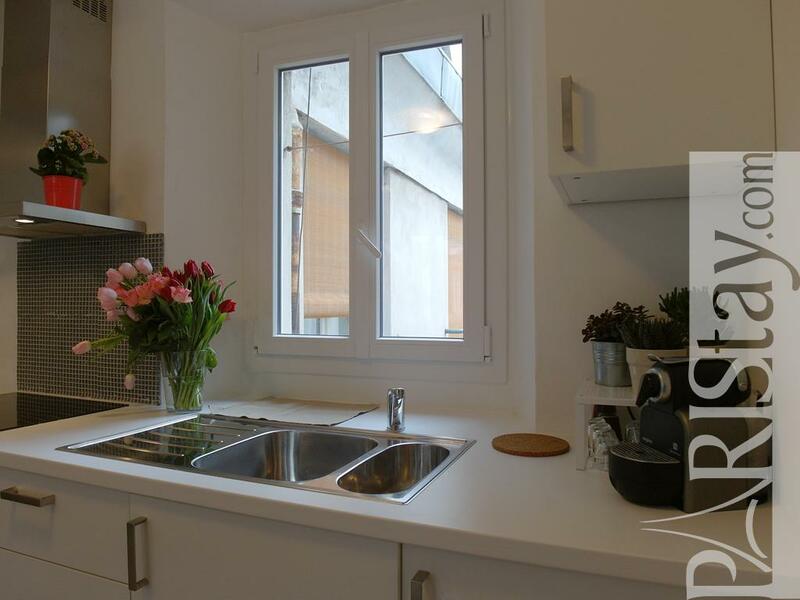 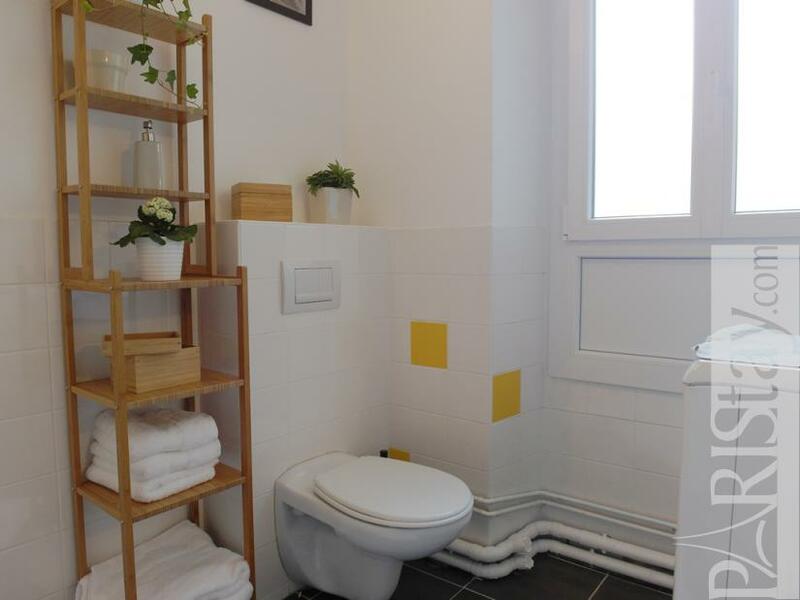 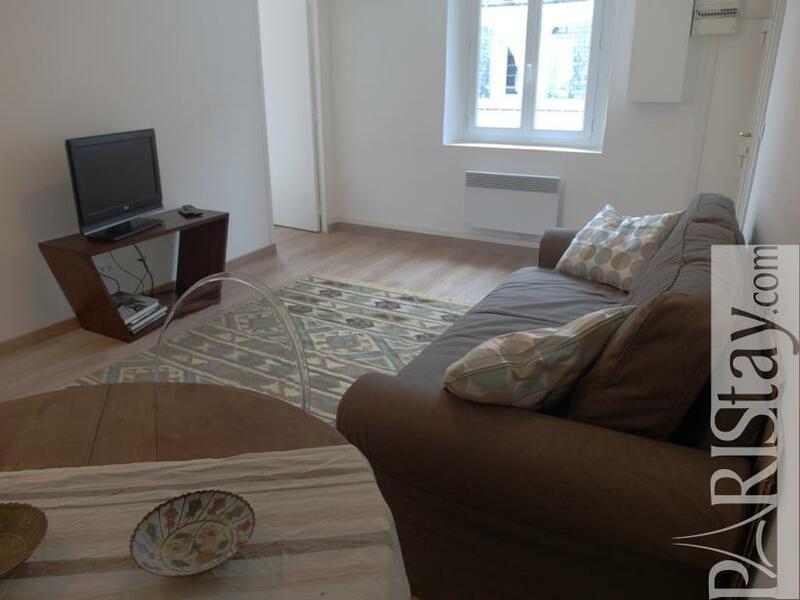 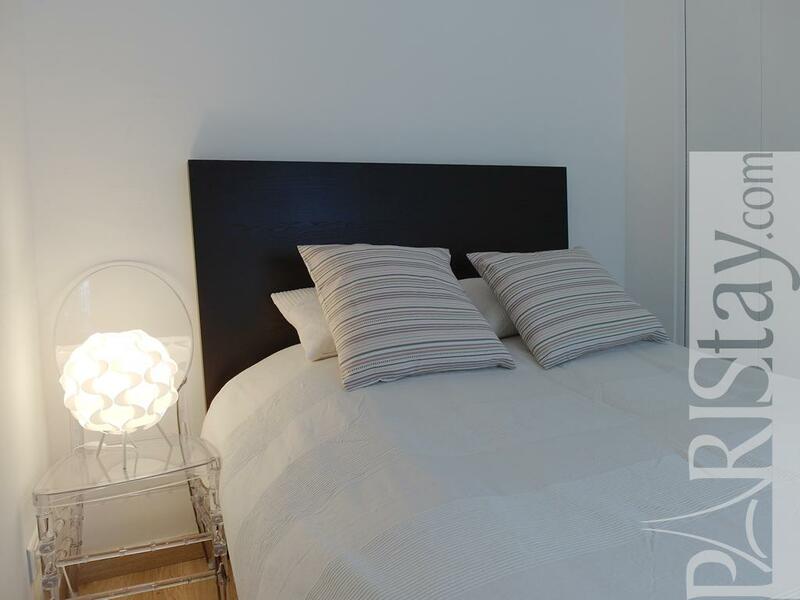 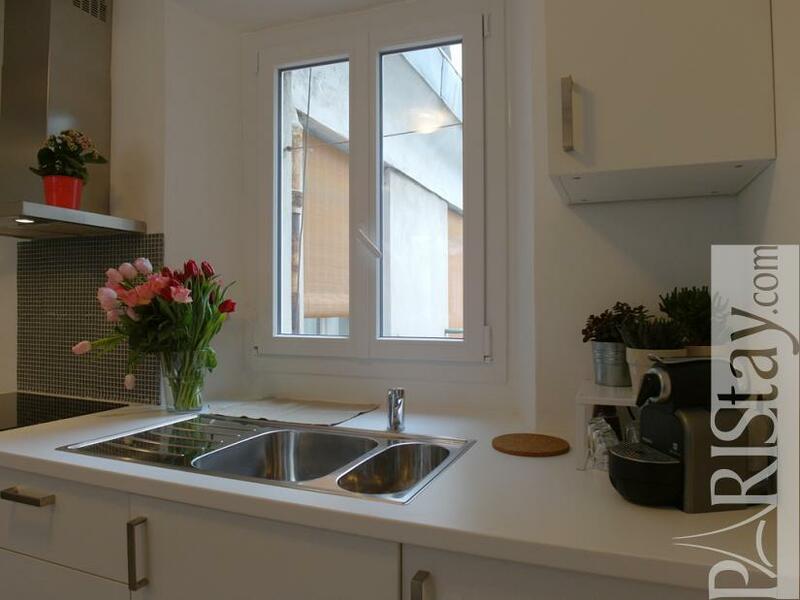 This astonishing Paris One Bedroom Apartment for rent is located in a wonderful area of the historical Paris, in the heart of the Marais, nearby Pompidou Centre, 2 steps from Arts et Métiers . 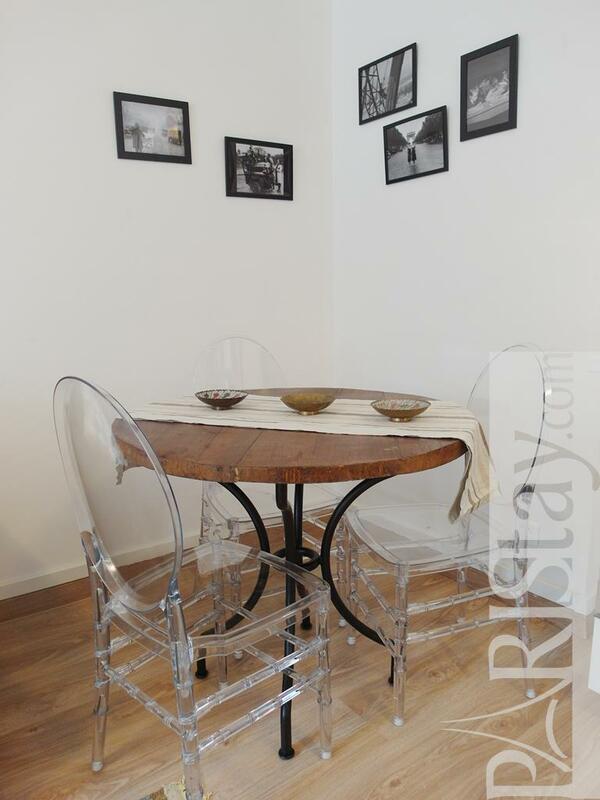 It is a lovely location in the typical streets of old Paris, near living places particularly beloved of Parisians like Rambuteau Street, Place des Vosges. 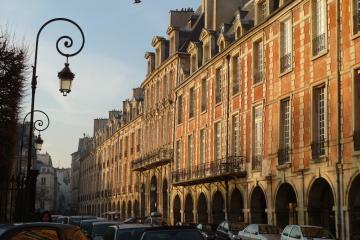 Everything is possible on foot or by immediate and convenient means of transportation! 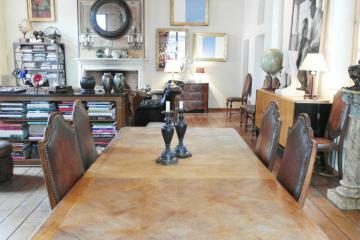 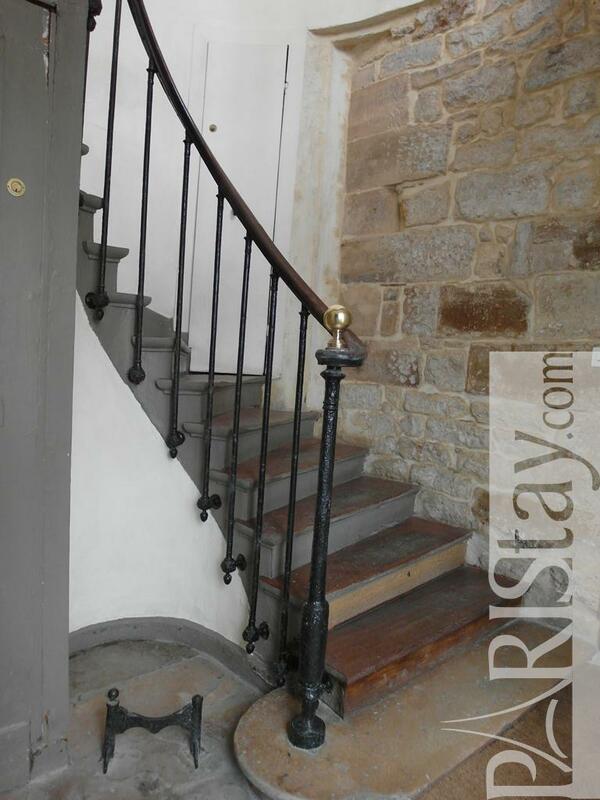 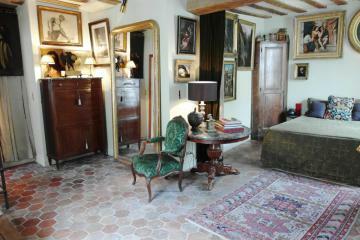 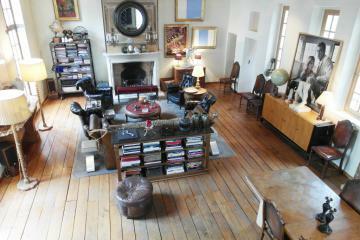 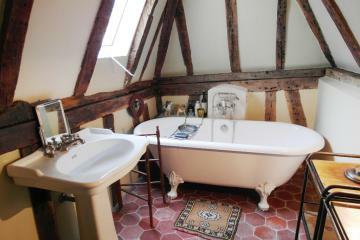 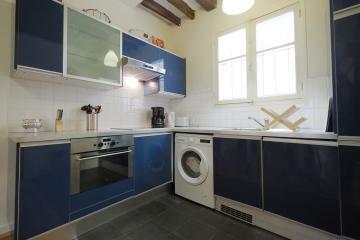 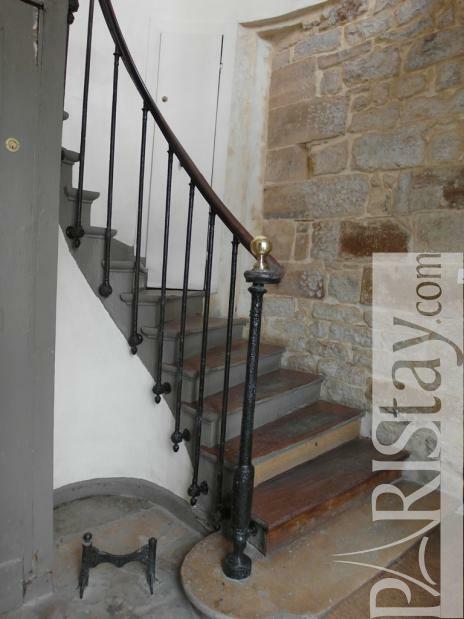 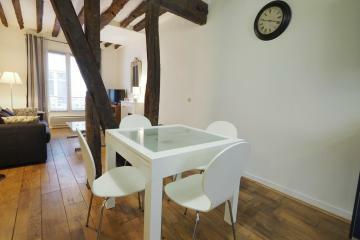 The apartment is located in a splendid 16th century building, on the 5th floor without elevator, on a quiet courtyard . 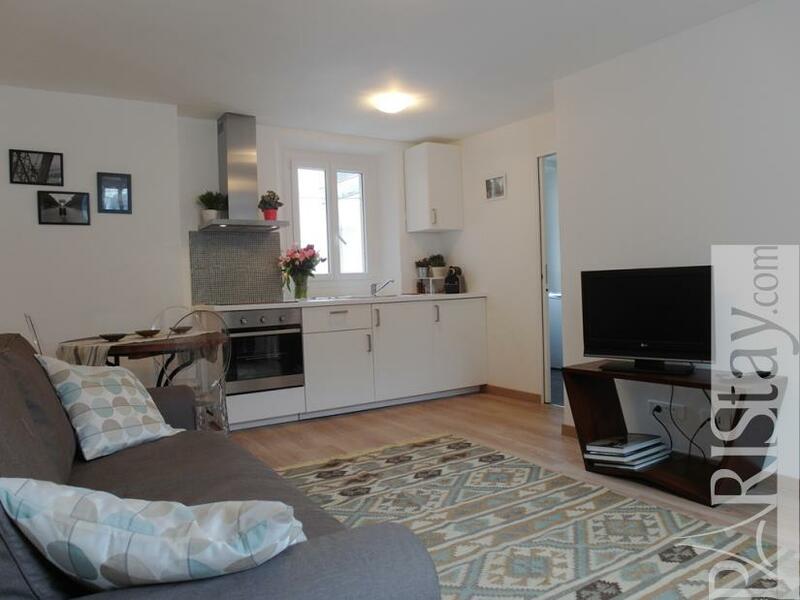 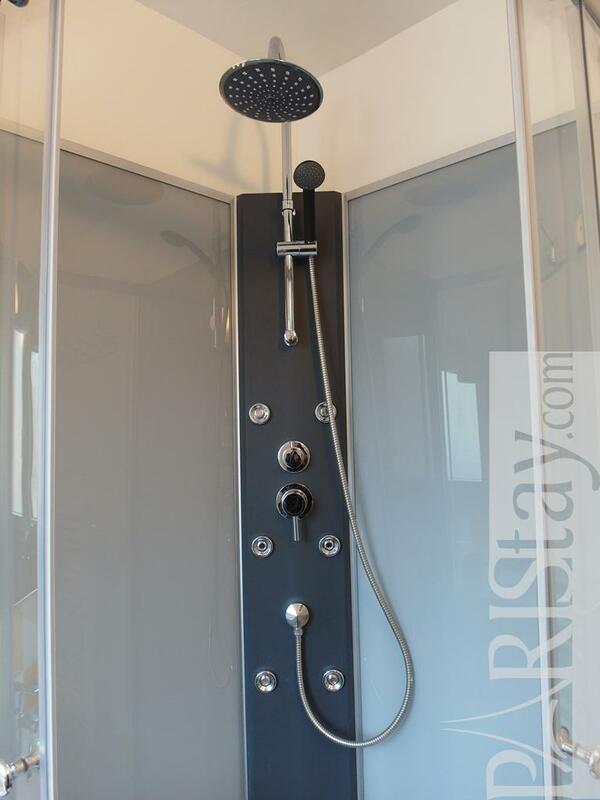 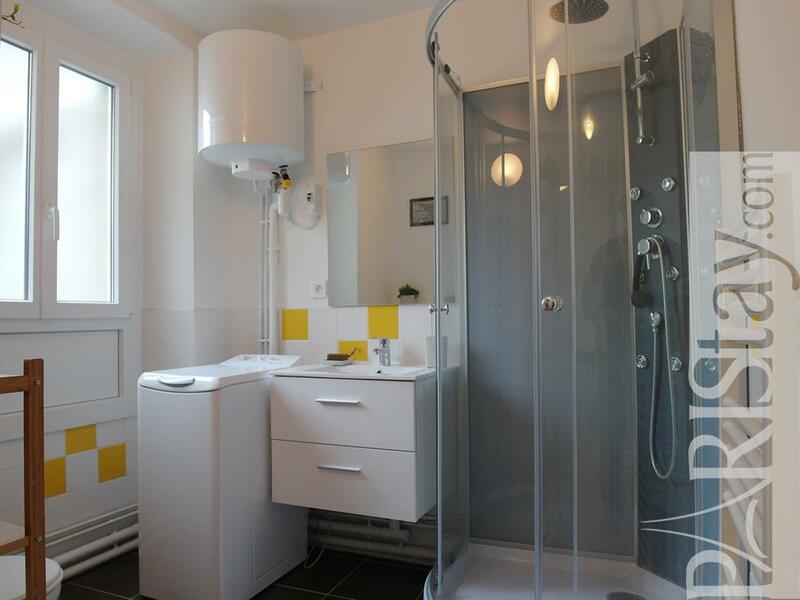 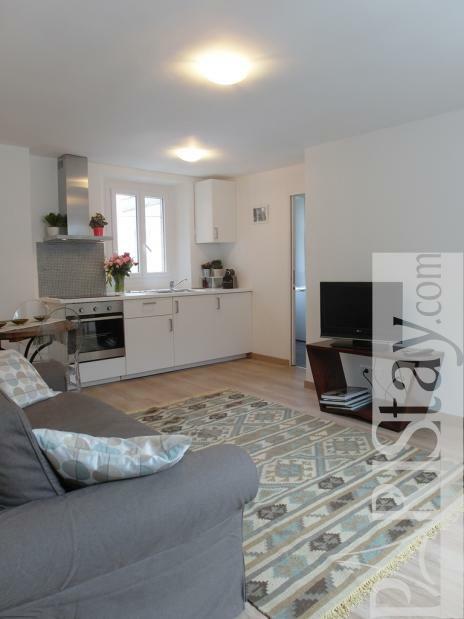 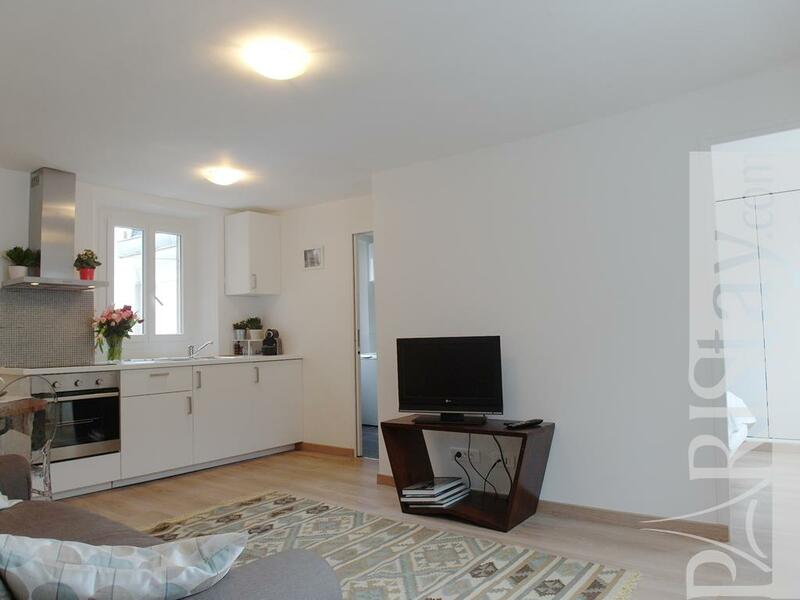 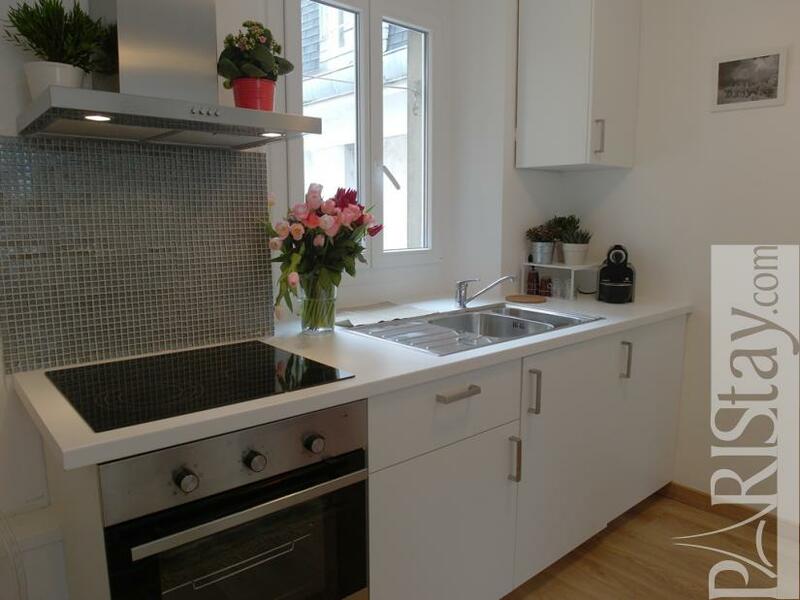 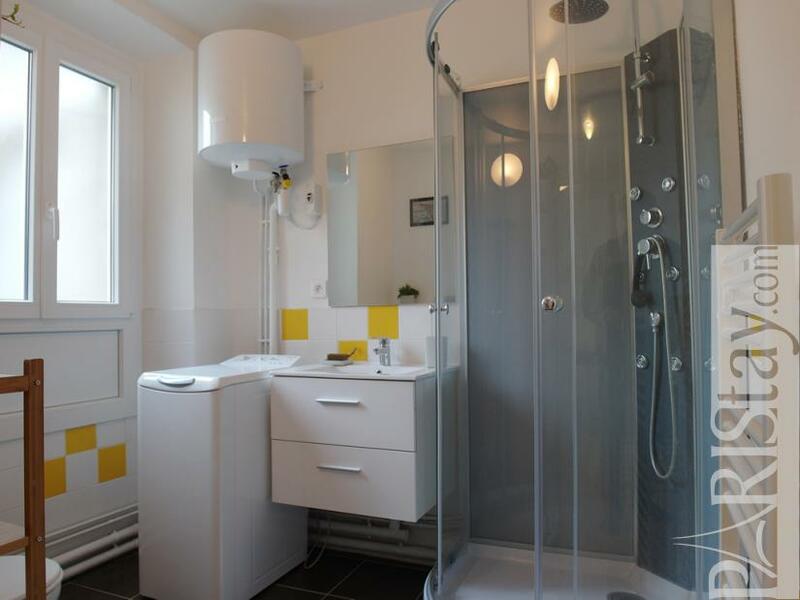 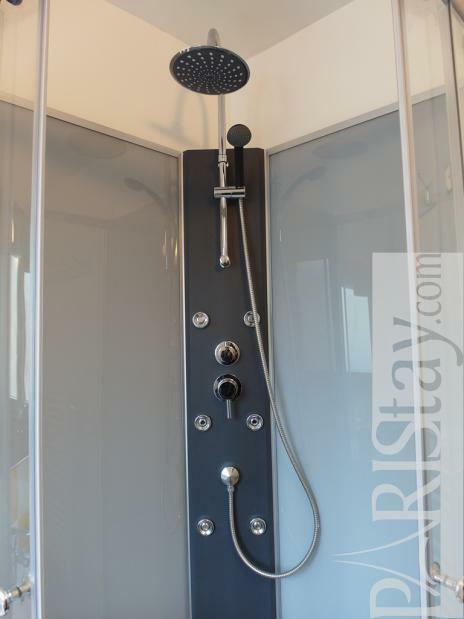 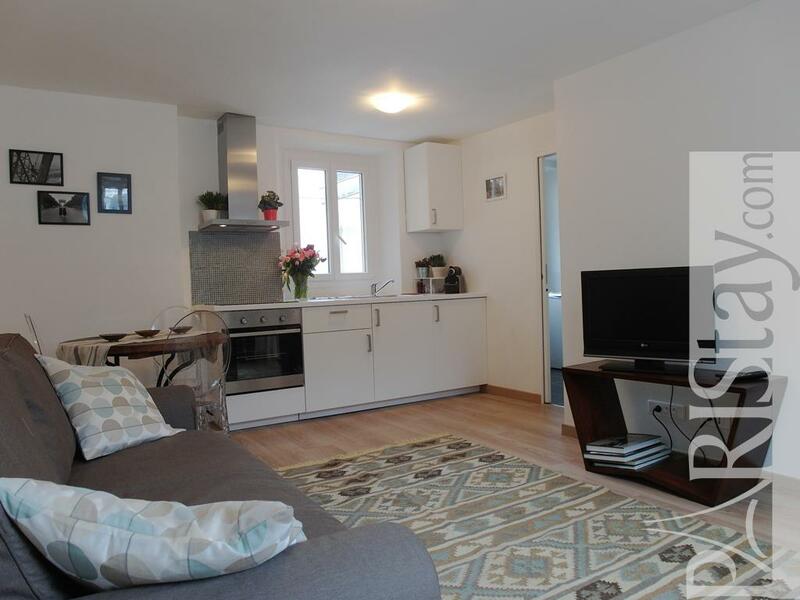 It has been completely renovated and decorated in a nice modern style. 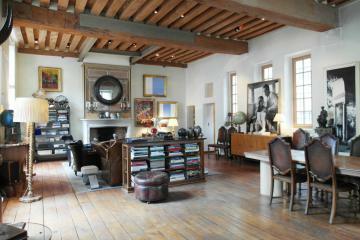 It is particularly bright and offers beautiful volumes. We love the very welcoming living room offering a dining area and an open kitchen, the cozy bedroom and its giant cupboards, the large bathroom. 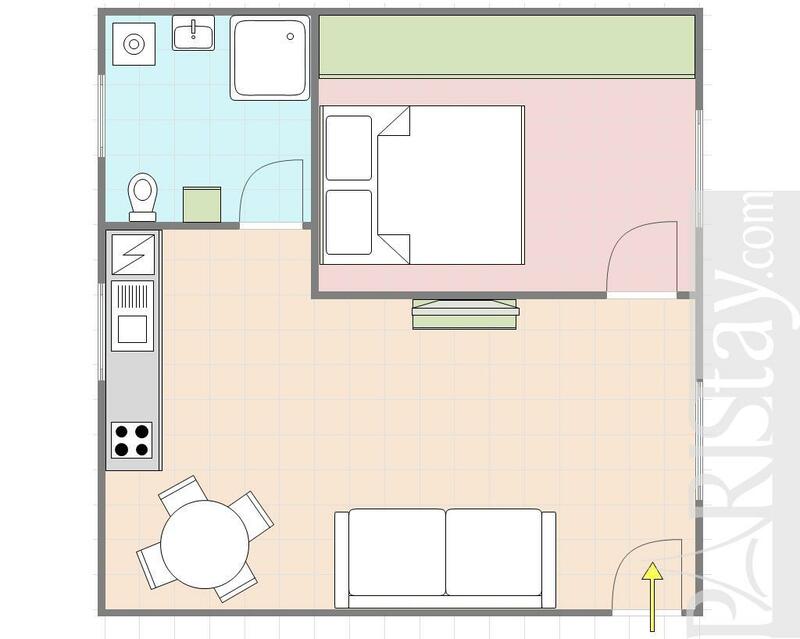 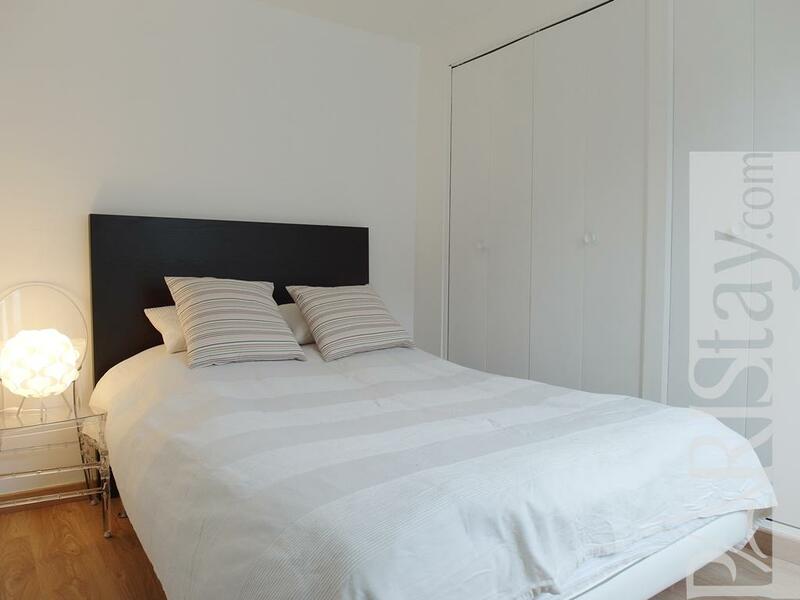 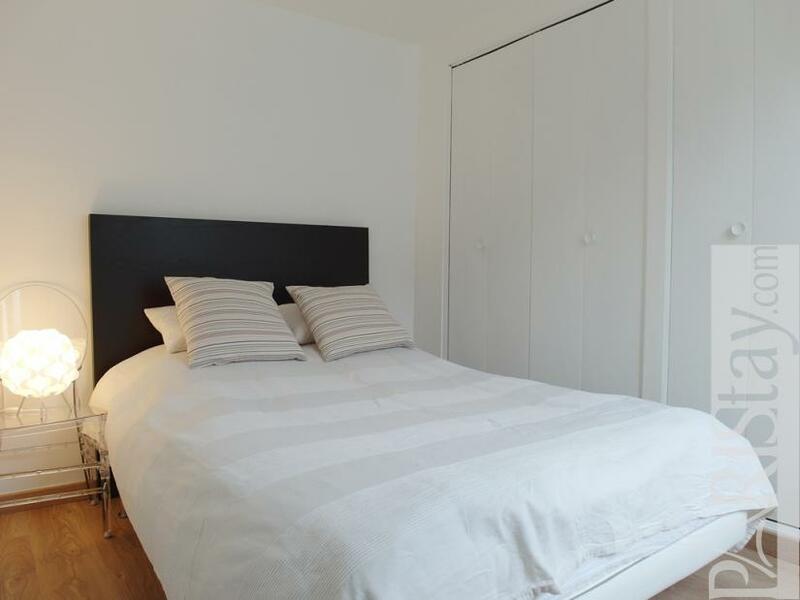 This apartment welcomes 2 people but there is a comfortable sofa bed in the living room for family or guests! 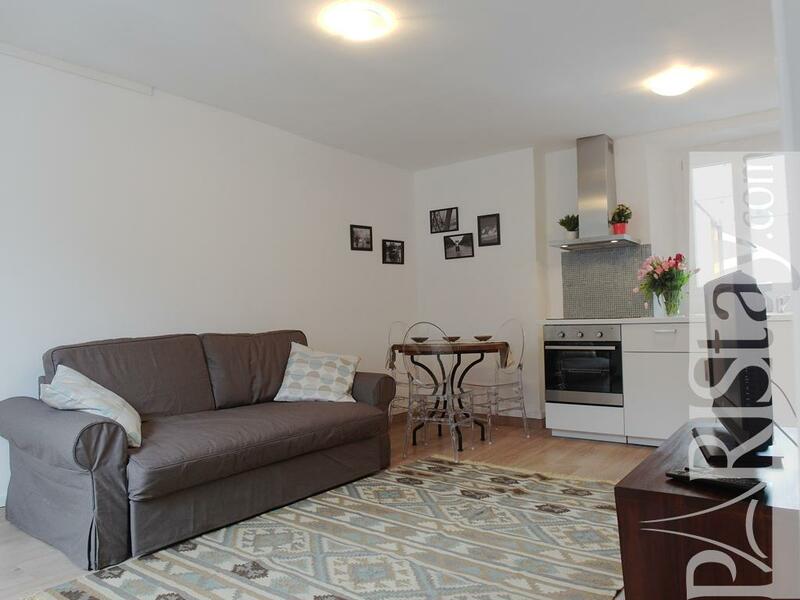 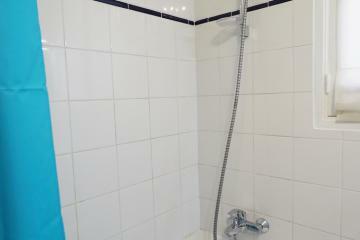 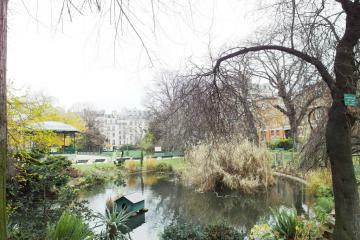 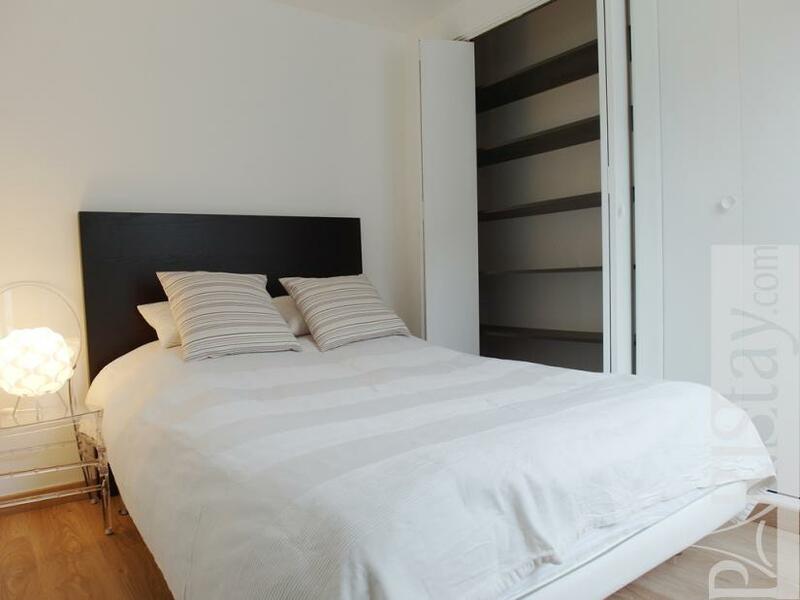 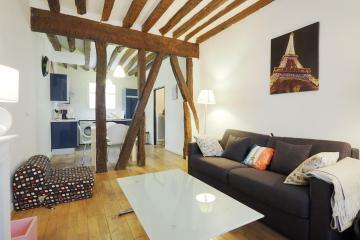 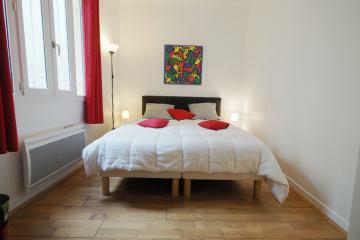 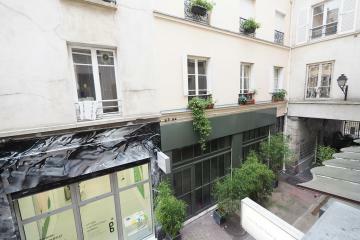 It is open for long term rental in Paris. 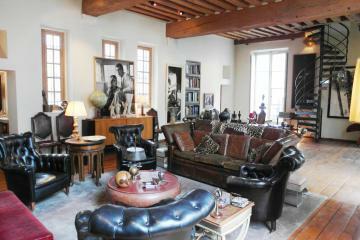 To discovered! 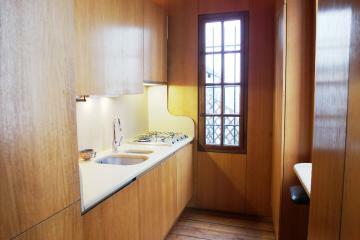 XVI's Building, 5 rd floor, without Lift, 1 bedroom Appartement, furnished, Approx: 31m² / 333 Sq.Ft.